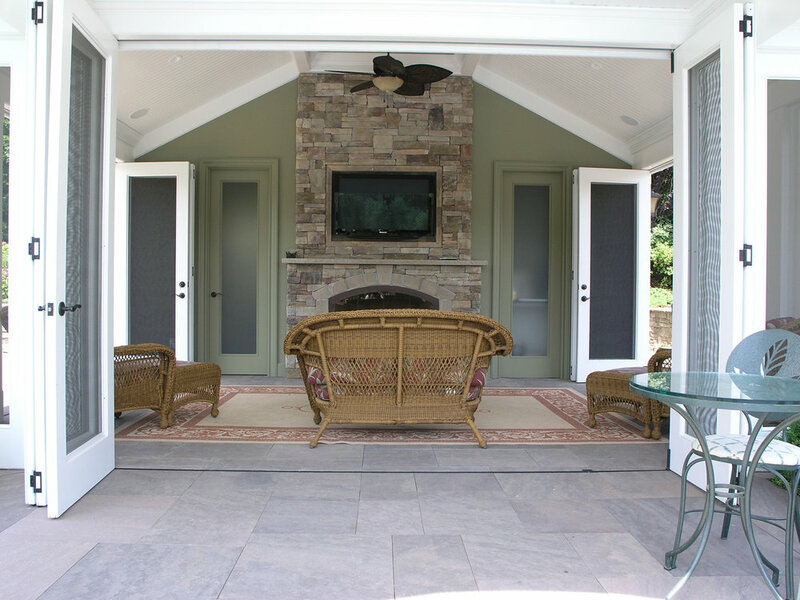 Gary Duff Designs created this backyard retreat with a perfect balance of timeless beauty and functionality. Sunny and shaded areas are possible with a cabana, a pergola, and plantings. For adult and child friendly entertaining, an open grass play area was incorporated right near the swimming pool. For drinks and food, family and guests will find a thoughtfully located outdoor kitchen. Nearby, is a built-in spa on the opposite side of the cabana - which contains foldaway glass doors for easy access. The golf enthusiasts will find themselves on the putting green tucked away in the corner of the property. Throughout the spaces, Unilock Brussels block, Cumberland brown, and a larger veneer stone was used to tie together the beiges on the house. Final pops of colors come from the plantings.